A fireman saves a lifeless kitten laying on the floor of a fire damaged house. This should bring a smile to your face. 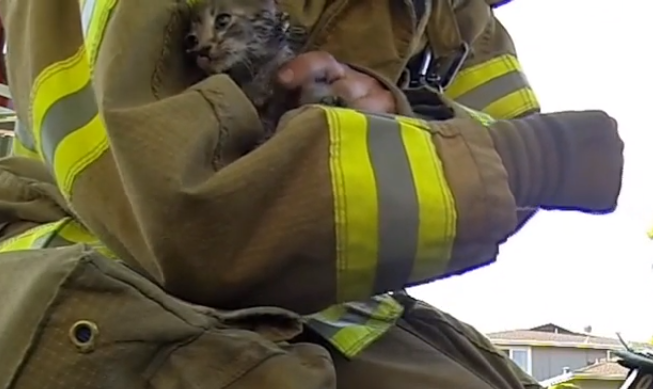 It’s a fireman who finds a lifeless kitten on the floor of a house damaged by fire. After some resuscitation techniques, the fireman gets a meow and a hug from the kitten. The fireman saves kitten video.